Here we have yet another new take on the classic Peter Pan story. There is a lot to take in here, and a lot to say about it all. Be warned, this review will contain some spoilers… so if you’ve still yet to see this, and don’t want it spoiled, this is your warning. WARNING: CONTAINS SPOILERS – YOU’VE BEEN WARNED. Still here? Okay, let’s get to it! 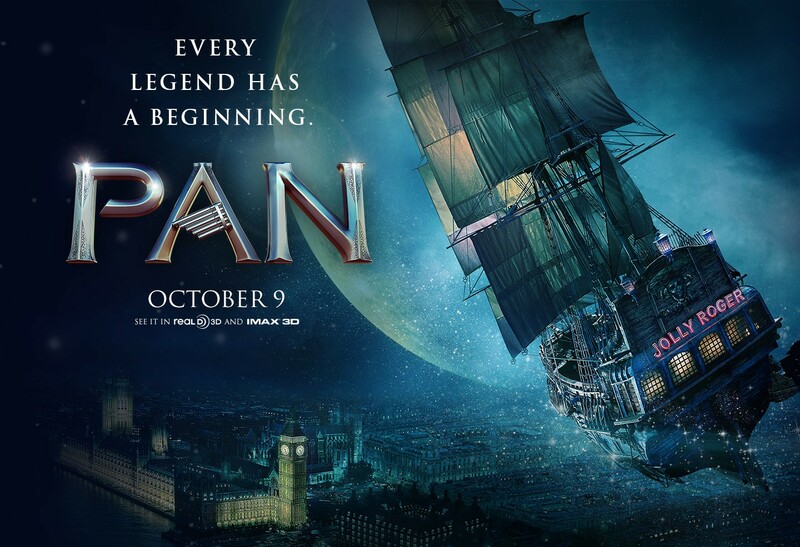 The 2015 offering of “Pan” starts with Peter Pan being raised in an oppressive orphanage run by a rotund, food-hoarding nun. Peter starts to notice that kids have started to go missing. Insert our introduction to the Neverland pirates, on bungie cords no less. They take our young Peter and many others to Neverland. There’s a trippy Baron Munchausen style trip through space until they reach the mystic isle of Neverland. Here, you’d expect to be introduced to Captain Hook, Peter’s longtime rival. Or so you’d think. – Nope. Instead, writer, Jason Fuchs, brings in a historical pirate, Captain Edward Teach a.k.a. Blackbeard (c.1680-22 Nov. 1718). I’m not sure their reasoning behind using one of the most notorious pirates in history since they failed to mention or make reference to how in the heck he made it to Neverland in the first place. Also, they introduce Blackbeard (Hugh Jackman of X-Men, Wolverine, etc.) using (and yes, I’m serious) “Smells Like Teen Spirit” by Nirvana, which is sung by Blackbeard and all of his enslaved miners. This little musical intro made no sense and really didn’t fit the situation or the theme. Now that we’ve introduced Blackbeard and Peter, let us introduce Captain Hook (Garrett Hedlund, Tron: Legacy). He’s a miner taken by Blackbeard and used to harvest pixie dust. That’s right, pixie dust, which Blackbeard uses as a sort of fountain of youth. In the original story, the pixie dust is only found on the fairies that inhabit Neverland. Here, it’s not only present in the pixies and fairies, it’s in the ground. Hook, instead of being Peter’s arch nemesis is more of a wayward uncle. He helps Peter escape the mines with the aid of Smiegel (Adeel Akhtar, the Dictator). This huge departure from the original tale would’ve been forgivable if Hedlund would’ve played him like the Englishman Hook was rather than sounding and acting like a stagecoach robber from the old west. He was over the top in a completely wrong way. Yes, Hook is traditionally a loud, larger-than-life, bumbling character, but he was a staunch Englishman. I just didn’t believe this Hook. He was more Buffalo Bill Cody. After the big escape we run into the indigenous tribe of Neverland. Fuchs decided to change these characters as well. They went from being a tribe of Native Americans to a large tribe of multiple races. No big deal, except there was, once again, no explanation for it. The leader of the tribe and father to Tiger Lily (Rooney Mara, her) is an Aborigine while Tiger Lily is white as snow. Truthfully, there are a number of Native American actresses that could’ve played this role. It would’ve made little difference and may have made her character more believable, but I digress. They’ve also decided to add in a little sexual tension between her and Hook. Why? I have no idea. This, I’m sure, will cause a bit of discomfort for readers of the original tale as Tiger Lily is a girl of maybe fourteen. While Mara is certainly quite a bit older, this tension doesn’t really work. Levi Miller (of Terra Nova) did an excellent job as Peter. He was the right age with a believable backstory. The backstory they spun for his mom was a bit farfetched and seemed rushed. A lot of writers have tried to give Peter a backstory; he’s a fay, he was abandoned at an orphanage where Tinker Bell rescues him, his pram is lost by his nanny and Tinker Bell rescues him. Fuchs went with a twist on the orphanage tale. 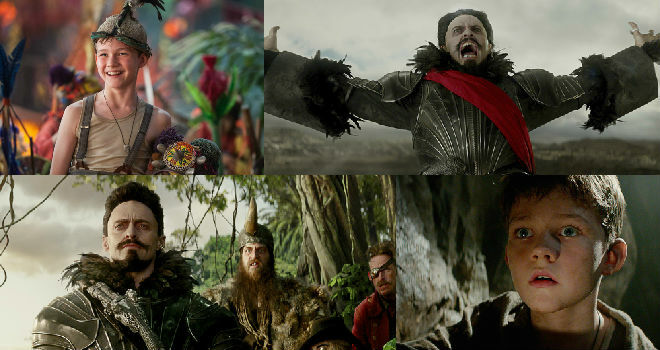 It wasn’t a horrible change, but would’ve been better if Jackman had played Hook rather than inserting an actual pirate doing a Ponce de Leon maneuver into Neverland. At least you can find yourself getting attached to young Peter. Besides Miller’s Peter, the only other character they left alone and you find yourself liking is Akhtar’s Smiegel. He did a wonderful job playing the cowardly yet amiable pirate second mate. There were a lot of tongue-in-cheek moments in this movie as well as some rather amusing slapstick scenes. Hook’s fight with the Pan of the tribe was hilarious. There were some “what?” moments, too. For instance, the aforementioned intro song for Blackbeard as well as the tribesmen turning into colored dust balls when the pirates shot them. Not to mention Mara’s yarn hair and Hedlund’s southwestern accent. I’m, also, wondering why Blackbeard has clearly been scalped but no mention is made of it. You only get to see it when his elaborate wig falls off. While I love Hugh Jackman as Blackbeard, his character, like this movie, made little sense. The rushed story that led to Peter’s mother abandoning him in the human world needs a lot of work. I can believe that Peter is a Halfling who can fly, but Blackbeard being in love with his mother who fell in love with a fairy prince is a bit cliché. If I took this tale out of the realm of the original tale and put it into its own tale, it might’ve worked better, but it’d still have a lot of “what the heck” moments. For me, this movie failed. It only vaguely makes reference to the original Pan tales. There are no Lost Boys, Tiger Lily is a Caucasian grown woman rather than a Native American adolescent (NOT saying that people of any race can’t play any character, just saying that it makes no sense), and Hook is from the American southwest, as opposed to Europe. I get that they were trying to make a fresh take on an old story, but the only characters they should’ve carried over are Peter, Hook, and Smiegel. It would’ve worked better as a backstory if they had. Also, Peter Pan is a story about a boy who fear growing up so he remains on a place where he can stay perpetually young counterbalanced by Hook’s adult figure who is perpetually trying to force Peter to grow up. 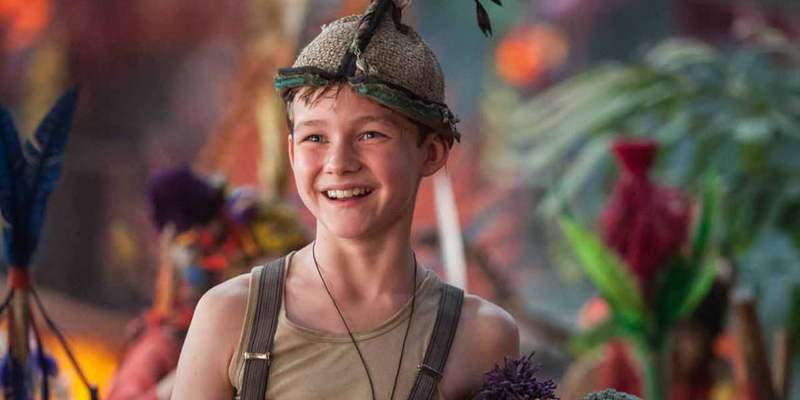 In this take, Peter is forced to face his fears which would begin a young adolescent’s journey into adulthood and Hook’s character is rather moot.